Many insect traps use pheromones—chemical attractants—to control crop-damaging insects. At low concentrations, pheromones lure the pests into traps. Another approach is to saturate the air so thickly with pheromones that the pests fail to meet, mate, and produce offspring. With the new trap, scientists are testing sounds that mimic the wing-buzzing vibrations that male and female psyllids also use to locate one another in citrus trees. 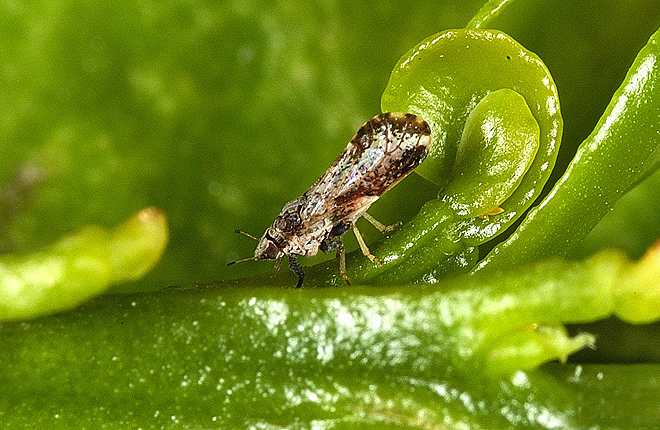 The goal of the research is to prevent the pests from producing offspring that can further infect citrus trees with the bacterium that causes citrus greening (Candidatus Liberibacter asiaticus). Trees infected with this bacterium cannot be cured, and they die within several years. Until such time, they may bear green, misshapen fruit with acidic-tasting juice, which, while not harmful to consumers, is unmarketable. Concern over the long-term impact and cost of using insecticides to control psyllids in Florida—and other states or U.S. territories where citrus greening has been detected—prompted an intensive search for alternatives, says entomologist Richard Mankin. He’s with ARS’s Insect Behavior and Biocontrol Research Unit in Gainesville, Florida. Mankin’s idea for the acoustic trap came from his studies of how insect pests use smell, sight, or hearing to locate food and mates. Together with a team of University of Florida graduate students, he decoded the psyllid’s signaling patterns (published in a 2013 issue of the Annals of the Entomological Society) and recreated them with electronics (piezoelectric buzzer and microphone connected to an Arduino microcontroller). In 2015, the team tested the concept in the laboratory. They used a prototype of the system rigged up to young citrus plants harboring adult male and female psyllids. In nature, a male psyllid begins the courtship by beating his wings rapidly in a precise pattern, sending vibrations through the twig or branch on which he sits. If a receptive female psyllid is nearby, she replies with her own vibrational call—typically one half-second later. Normally, the male crawls toward the female. In the lab studies, however, the acoustic system responded a tenth of a second sooner with a fake call of its own, luring the males toward a sticky trap. In experiments with the trap, male psyllids were four times less likely to locate responding females than males in nontrap (control) groups. Mankin’s team is refining the acoustic trap—and trying to reduce its costs to about $50—for use in field trials. Their goal is to evaluate the trap’s ability to distinguish male vibrational signals from “background chatter” within trees and then mimic a female psyllid’s call strongly and quickly enough to be effective. If developed commercially, the acoustic trap would most likely fit into an integrated approach to managing psyllids and reducing the spread of citrus greening disease.—By Jan Suszkiw, ARS Office of Communications. “Trap Tricks Psyllids With Sound” was published in the May 2016 issue of AgResearch Magazine. 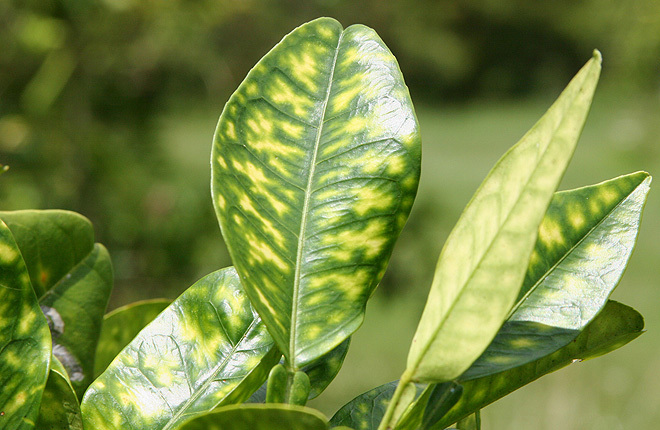 Citrus greening is a costly disease that makes citrus fruit unmarketable. No cure exists for infected citrus trees. ARS scientists made a new trap to catch the insects that spread the disease.